Hi Dolls. One of my New Year's resolutions was to create a new segment here on my blog. And when I was thinking of what should I do, I of course went on Youtube and found this Monthly Favorites videos, started watching them and now I'm obsessed. 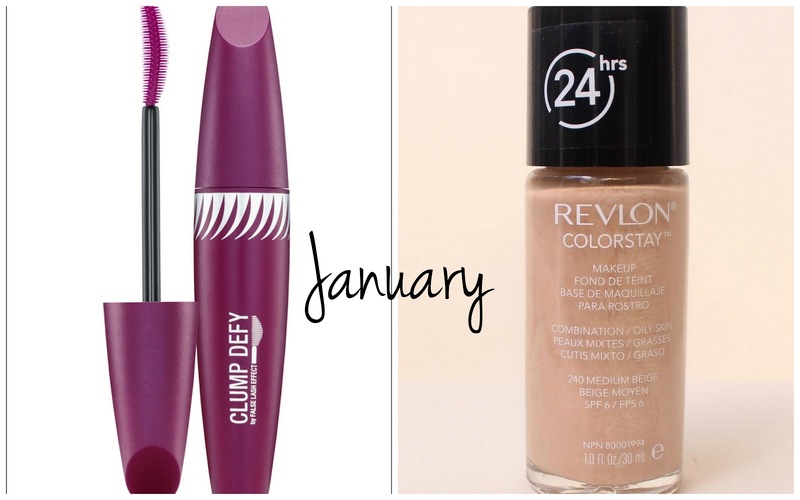 So I decided to post my Monthly Favorites this year for each month starting with January which is already over. Wow time passes by so fast. Anyway starting today I'll post my favorite things for each month in 4 categories: Fashion, Beauty, Music/Movies and Random. Most worn item of clothing: definitely skirts. Don't know why, but I love wearing skirts in winter more than in Spring or Summer. I'm never cold, in fact I feel even warmer than wearing super thick jeans or pants. You just know I'm wild like that (no I'm not LOL). 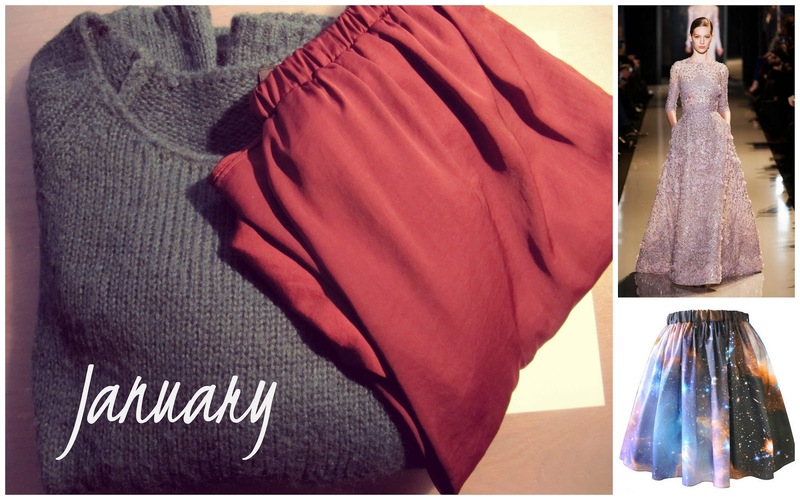 New items I bought this month: I bought a new sweater from H&M and it's emerald green which is definitely my favorite color right now; I also finally bought a maxi skirt - yes I know I'm a bit late on this trend, but I never had the courage to buy it and it's this beautiful burgundy colour and when I saw it in ZARA I said enough, I'm buying it :) And I think this is pretty much it for this month. I finally bought the REVLON Colour Stay foundation, because many of the beauty gurus recommended it and now I know why. I love it. It feels really good on my skin and I finally found my perfect shade (all of the previous ones made me look so orange). I also found this amazing mascara from Max Factor called Clump Defy and I have to say that it really surprised me. I was a bit sceptical at first, because the brush seemed too small for me, but I realised that it made my eyelashes so long and pretty. I'm definitely recommending both of this products. Favorite Movies: definitely Django Unchained, because I always love seeing Leonardo DiCaprio in a movie and Quentin Tarantino's movies are always a success and this one is no different - the story is amazing, acting is very convincible and directing is extraordinary. Another movie that is on my favorites list is of course Les Miserables - I already knew the story from watching the musical but this movie takes it to another level. The singing which is not prerecorded is amazing. Words cannot describe how much I love this movie. Perfection is all I can say. thanks so much for your comment! im already following you! Hi dear, your new idea is really good and I´m full of pleasure for your next posts. You have very nice blog! Blog it self look very stylish! Nice questionarie. Elie Saab is my fav too, amazing! I loved the movie Django Unchained too. Watched it last week and I'm so in love with Zara. Nice post! lovely favorites! i love zara's, i really want to try the revlon colorstay, and les miserables was truly an immeasurable movie. thanks for the follow, now following you gfc, bloglovin, twitter, fb, do you have g+? Great answers, I love this post! Hi:) i just stopped by to introduce my blog a bit. My blog's concept is basically world of fashion and since I'm Japanese, I take photos of fashionable people. Hope you will once visit and follow if you like, thanks for taking time and thanks again! Hello dear, thnak you for visiting my blog and for your comment! I've nominated you for the liebsten award on my blog because you're one of my favourite bloggers! Just click on the link to take you to the information about it.